It is absolutely FREEEEEEEZING here today. I mean it’s really cold, and I’m inside with ducted heating! Anyway, my hands are icy, so this shall be short. I wanted a change of texture for dinner tonight. 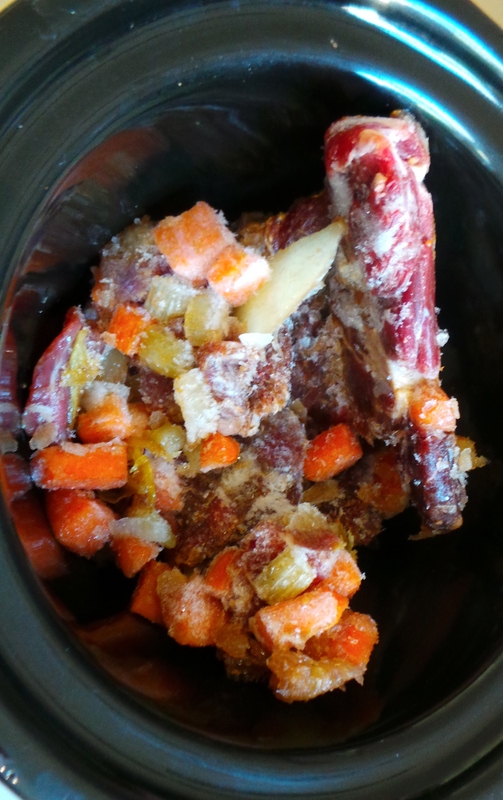 So, I rescued one of my Asian flavoured beef meals from the freezer and popped it into the crockpot frozen. Doesn’t look all that tasty, does it? 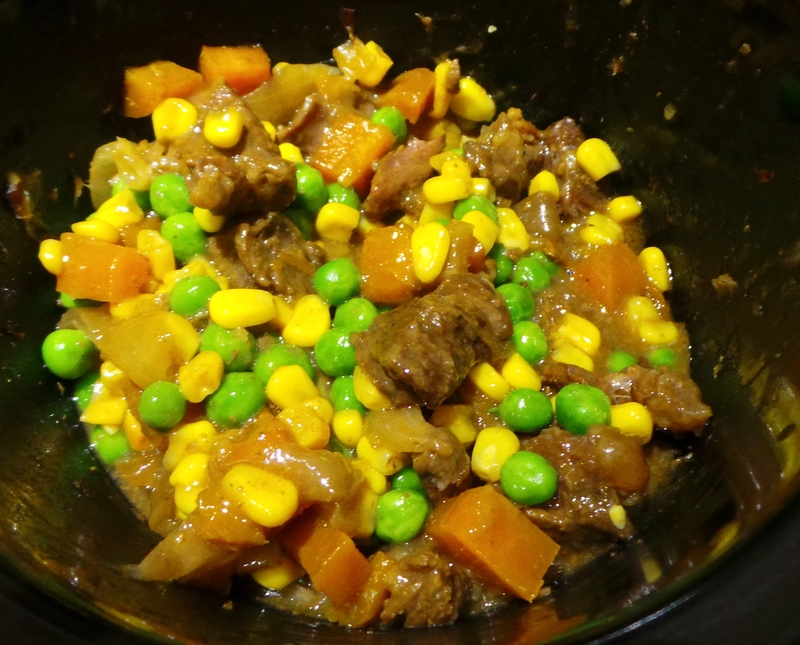 But this is how it looks now, after 10 hours on low and with the addition of some frozen peas and corn and some cornflour to thicken it up. I’ve just put a rather nice, jazzed-up Apple Crumble in the oven – to keep the whole warm, comfort food, vibe going. I’ve added ground ginger, sultanas and choc chips to the filling…because, why not? I think I neglected to mention yesterday that I’d made another loaf of bread, so I’ll do that now. Also, I just served the last of the instant hot chocolate mix to The Boy, who has sequestered himself in his warm study, so I’ll be making more of that tomorrow. I could quite easily do it now, but my kitchen is the coldest room in the house on a decent day. I’m looking forward to moving – you have no idea. I also decanted the Spicy Chilli and Garlic oil I put aside to infuse a few weeks ago. It’s to be a gift for my step-father who will hopefully be visiting some time this week. He just had a birthday and loves things HOT. So, I’m logging off now and snuggling up with a cat or two. On the bright side, today marks the Winter Solstice. It’s going to get warmer from now on, or so they tell me.